htpcBeginner is a leading site in HTPC and Home Server related topics and we pride in publishing quality articles that meet the needs our readers. 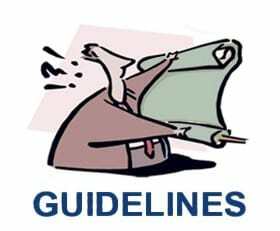 In order to help you (our authors) meet this quality standards, we have put together some guidelines that must be followed while writing your articles. All articles must be a minimum of 1000 words (unless pre-approved by editors). All articles must be original and must not have been previously published (plagiarism will result in rejection of your article). You agree to not publish the article elsewhere, including your blog, in future. You authorize htpcBeginner to edit (if required) your content before or after publishing. It is your responsibility to ensure that the article is well written and grammatically clear. You have the liberty to promote your own blog posts/articles through posts (within the limitations listed above), comments, and emails. Please do not spam. You may not include your affiliate links or promotional material in your posts (unless pre-approved by editors). All articles must include relevant images and/or videos. After your post is published you are encouraged to respond to comments on your post. Any post that adds value will never be rejected without a chance for the author to address any non-conformity or error. We will try our best to approve your posts with 48 hours. To help new authors we have put together a guide to help you write your articles easily while also meeting our standards. Once you register as an author we will provide you the authorship guidelines that will be mutually beneficial.